The Illinois Public Employee Relations Report is published quarterly by Chicago-Kent College of Law, Institute for Law and the Workplace and the University of Illinois School of Labor and Employment Relations to provide education services to labor relations professionals in Illinois. The Illinois Public Employee Relations Report provides current, nonadversarial information to those involved or interested in employer-employee relations in public employment. The authors of bylined articles are responsible for the content and for the opinions and conclusions expressed. 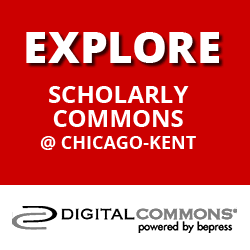 You can find the complete archives of the Illinois Public Employee Relations Report on Chicago-Kent’s Scholarly Commons at https://scholarship.kentlaw.iit.edu/iperr/. Digitized copies of back issues have been added to this archive, from 1986 to 2017. New issues will also be archived in this repository under our open access format. 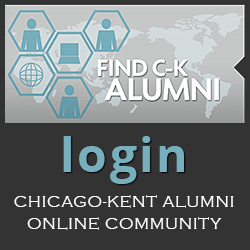 If you experience problems with the website, please contact the Institute for Law and the Workplace Program’s Associate, Tristan Kirvin at tkirvin@kentlaw.iit.edu. Recent Developments: Written by the student editorial board; highlights recent legal developments under the Illinois Public and Educational Labor Relations Acts and, where warranted and space permits, other legal developments of interest to the public sector labor relations community, such as Fair Labor Standards Act, Equal Employment Opportunity laws and First Amendment issues. Issue 4: Labor-Management Cooperation in a Fire Department Closure: The Highwood Story by Thomas M. Melody, partner with the law firm of Klein,Thorpe and Jenkins, Ltd.
Issue 1: Turmoil in Public Sector Labor Law, by Martin H. Malin, Professor of Law and Director of the Institute for Law and the Workplace at IIT Chicago-Kent College of Law. Issue 2: Union Dues in the Public Sector: Legislative Changes and Legal Challenges, by Ann C. Hodges, Professor of Law, University of Richmond. Issue 3: Chicago Math and Science Academy: Are Charter Schools Public or Private Under the NLRA, and Does it Matters?, by Stanley B. Eisenhammer and Christopher M. Hoffmann of Hodges, Loizzi, Eisenhammer, Rodick & Kohn LLP. Issue 3: Multi-Year Collective Bargaining Agreements and the AFSCME/State of Illinois Dispute, by Tamara L. Cummings, General Counsel, Illinois Fraternal Order of Police, and John H. Kelly, Attorney, Ottosen, Britz, Kelly Cooper, Gilbert & DiNolfo, Ltd.
Issue 1: Multiemployer Bargaining in the Public Sector: Is The Time Right?, by Kenneth E. Edwards, Field Attorney/Organizer, I.U.O.E. of Local 150 AFL-CIO. Issue 2: Recent Legislative Changes Affecting Illinois Public Pensions: Do these "reforms' address the real problem?, by Anita Tanay, Jacobs, Burns, Orlove & Hernandez. Issue 3: Health Care Reform: Implications for Collective Bargaining in the Public Sector, by Andrew A. Malahowski of Franczek Radelet. Issue 1: Ricci v. DeStefano: What It Means for Public Employers, by Ronald Kramer of Seyfarth Shaw, LLP. Issue 2: Labor Relations in Hard Times, by Michael J. Duggan and Julie E. Lewis, Partners, of Klein, Thorpe & Jenkins, Ltd., and Mallory Milluzzi, Law Clerk, Klein, Thorpe & Jenkins, Ltd.
Issue 3: The Fate of Arbitration Agreements after 14 Penn Plaza LLC v Pyett, by Librado Arreola of Asher, Gittler, Greenfield & D'Alba, Ltd.
Issue 4: Public Sector Furloughs: Player Perspectives, Strategies, and Grounds for Challenge, by Ryan Shannon, Associate Attorney, Dickenson Wright PLLC, Lansing, Michigan. Issue 2: The Fire Department Promotions Act, by Karl R. Ottosen and Matthew Roeschley, Ottosen, Trevarthen, Britz, Kelly & Cooper Ltd.
Issue 1: The Conundrum of Leave, by Claire A. Manning, Posegate & Denes, P.C. Issue 3: Recently Enacted Laws that Impact Public and Private Sector Workplaces, by Carl S. Tominberg, Jill P. O'Brien and Mary-Frances Ryan of Laner, Muchin, Dombrow, Becker, Levin & Tominberg, Ltd.
Issue 4: What a Mess! The FMLA, Collective Bargaining and Attendance Control Plans, by Arbitrator Jeanne M. Vonhof and Professor Martin H. Malin, IIT/Chicago-Kent College of Law. Issue 1: Protecting Workplace Security After September 11th: The Ongoing Need for Collective Bargaining in the Public Sector, by Pasquale A. Fioretto and Patrick N. Ryan, Baum Sigman Auerbach Neuman & Katsaros, Ltd.
Issues 2 & 3: The Early Years of the Illinois Educational Labor Relations Board (1984-1992) Parts I & II , by Gerald Berendt, Professor of Law, The John Marshall School of Law in Chicago, Illinois. Issue 4: Bargaining Implications of the No Child Left Behind Act, by Michael A. Loizzi, Jr., Penny Upton, and John Di John, Jr.
Issue 1: New Approaches to Compensation for Teachers, by Michael Kiser, General Counsel, Naperville School District 203, Fred B. Lifton, Partner, Robbin Schwartz Nicholas Lifton & Taylor, Ltd., and Tracy Billows, student Chicago-Kent College of Law. Issue 2: How Do Civil Service Disciplinary Hearings and Labor Arbitration of Discipline Cases Co-exist?, by Joel A. D'Alba, Asher, Gittler, Greenfield & D'Alba. Issue 3: Emerging Trends in Public Sector Interest Arbitration: Employee Residency Rules, by James A. Spizzo and Charis A. Runnels, Vedder, Price, Kaufman & Kammholz. Issue 4: Labor Management Cooperation: Key to Organization and Employee Success, by William K. Strycker, Madison Area Technical College. Issue 2: Coming Together to Address Student Aggression and School Safety, by William Kling, Ancel, Glink, Diamond, Bush, DiCianni & Rolek, P.C. 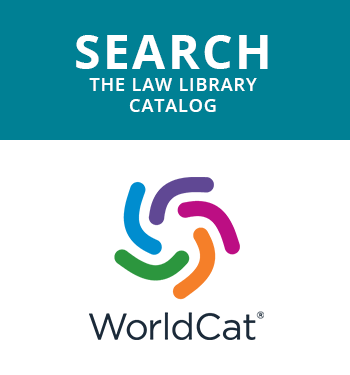 Issue 4: Minimizing the Potential Litigation Risks of Today's Electronic Workplace, by Craig R. Thorstenson and Gary N. Savine, Matkov, Salzman, Madoff & Gunn. Issue 1: When Can a Public Employee Take Employment Disputes to Court, and Out of the Collective Bargaining Arena? With Stahulak and Mahoney, The Illinois Courts Inch Closer To Adopting the Federal Model, by James Q. Brennwald, Assistant Corporation Counsel, City of Chicago. Issue 2: Family and Medical Leave Act: Recent Developments in the Courts and Arbitration by, Felicitas Berlanga, Associate General Counsel, Illinois Education Association. Issue 3: Information Disclosure in Illinois Public Sector Labor Relations by, A. Lynn Himes and Sarah E. Joyce of Scariano, Kula, Ellch & Himes. Issue 4: A Practical Approach to Selecting Comparable Communities in Interest Arbitration Under the Illinois Public Labor Relations Act by, Edwin H. Benn, Arbitrator. Issue 1: The Fair Labor Standards Act: DOL's Salary Basis Test and Its Impact on Public Sector Employers by, Gia Morris, Assistant Corporation Counsel, City of Chicago. Issue 2: New Developments in Public Sector Arbitration -- The New Trilogy and Much Ado About Nothing by, Gregory J. Malovance and Margaret R. Gibbs of Winston & Strawn. Issue 3: Violence in the Workplace: An Employer's Potential Liability and How to Reduce that Exposure by, Lawrence J. Casazza and Barry J. Shulock of Vedder, Price, Kaufman & Kammholz. Issue 4: A Comparison of Interest Arbitration in Protective Services and Teacher Bargaining: A Case Study by, arbitrator Robert "Rocky" Perkovich. Issue 1: School Reform and Labor Relations: Can Both Go Forward in Chicago? by, James C. Franczek, Jr. and Patricia M. Trainor of Franczek, Sullivan, Mann, Crement, Hein, Relias. Issue 2: Drug Testing and Collective Bargaining in the Public Sector: The Impact and Limits of the Department of Transportation Regulations by, Elizabeth A. LaRose of Baum, Sigman, Auerbach, Pierson & Neuman Ltd.
Issue 3: Discipline for Off-Duty Conduct: Can (And If So, When Should) Big Brother Watch? by, Steven Mark Bierig of Katten, Muchin & Zavis. Issue 1: "Reflections of the Ten Year Anniversary of the Illinois Public Labor Relations Act and the Illinois Educational Labor Relations Act," by, Joel A. D'Alba, Asher, Gittler, Greenfield, Cohen & D'Alba. Issue 2: "Extending Family Benefits to Employees' Domestic Partners: A Retrospective," by, Steven Briggs, Associate Professor of Industrial Relations, DePaul University. Issue 3: "Should We Appeal: An Analysis of Ten Years of Court Review of Illinois Public Employee Bargaining Board Decisions," by Edward B. Miller, Seyfarth, Shaw, Fairweather & Geraldson. Issue 4: "Trends in Illinois Interest Arbitration," by, Thomas F. Sonneborn, Illinois Fraternal Order of Police Labor Council. Contained articles discussing health insurance reform, the impact of the Supreme Court's Hicks and Hazen Paper decisions on EEO litigation, dismissal of tenured teachers for failure to remediate performance deficiencies, and a retrospective of the first ten years under the Illinois public employee bargaining statutes from a management perspective. Contained analyses of the effects of the Illinois Supreme Court's decision in Central City School District v. IELRB written from union and management perspectives, a discussion of standards for deferral of unfair labor practice charges to arbitration, an analysis of the impact of the ADA on collective bargaining, and a discussion of sexual harassment issues, with particular emphasis on how the issues are handled in grievance arbitration by arbitrator Lisa Kohn.